The price of gold may be rising, but gold mining stocks are getting hammered today. And do you know why? On the heels of yesterday’s late-day price surge, the Market Vectors Gold Miners ETF (GDX), of fell more than 4.5% amid a broader market selloff that sent the Dow dropping more than 300 points and the S&P 500 declining almost 2%. The dovish minutes from the Federal Reserve’s September policy meeting have gold bugs buzzing. The precious metal touched a two-week high today, amid easing concerns that the Fed is near to raising interest rates, reviving gold as an inflation hedge. Gold prices rallied to $1,234 a troy ounce, their highest level since Sept. 23, a day after minutes from the Fed’s September policy meeting revealed officials were worried weaker growth in Asia and Europe could curtail U.S. exports. The central bank also highlighted a stronger dollar as a barrier to U.S. inflation climbing toward the Fed’s 2% target, stoking hopes for a sustained period of low interest rates. The most actively traded contract, for December delivery, was ended the day at $1,225.10 a troy ounce on the Comex division of the New York Mercantile Exchange, up $19.10, or 1.59% after earlier today climbing as high as $1,380. 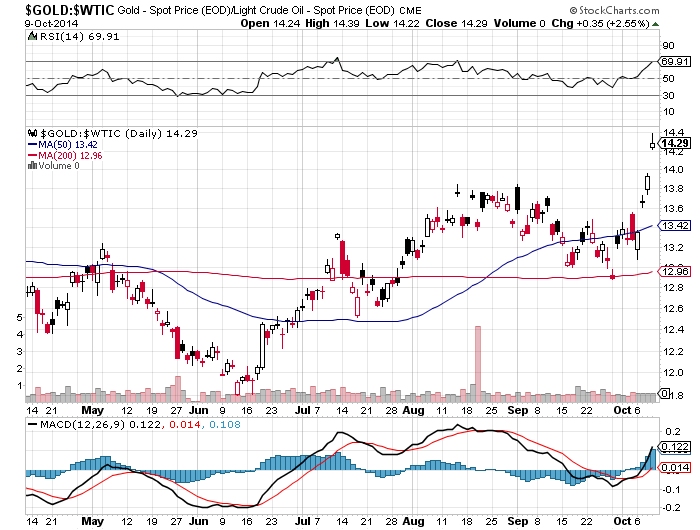 ETFs linked to the commodity prices saw little improvement today. 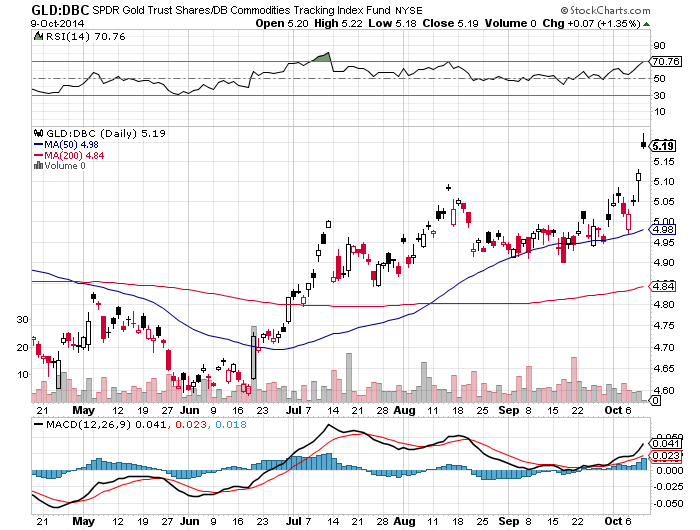 The SPDR Gold Trust(GLD) rose 0.25% to $117.76, while the iShares Gold Trust (IAU) inched up 0.21%. But while worries regarding a weak economy can lift gold prices they can squeeze gold mining companies. 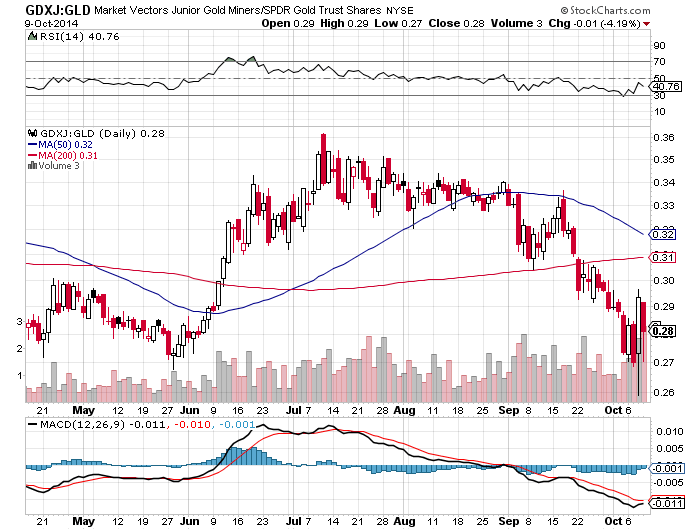 GDX has plunged more than 60% over the past two years with the likes of Barrick Gold (ABX) falling more than 65% during that same time span and Newmont Mining (NEM) falling 59%. The above is an article from an “elite” financial publication (Barrons) where the theme is that miners are being hurt/squeezed because they are stocks. I ask my readers how are miners hurt LONG-TERM (the next decade) if the REAL price of gold is rising? Sure miners may have been sold today due to leveraged investors selling to go into cash, but how does that “squeeze” the mining business if gold is risng RELATIVE to input costs like crude oil and commodities? Mining is a spread business. You make money on the spread between input costs and output revenues. Never take what you read on face value. Miners realtive to gold in the chart above. http://www.safehaven.com/article/35401/microdocumentary-the-truth-about-boom-and-bust-cycles A bit simplistic, but a good introduction to the dangers of excess credit growth. Verdict: This will get ugly but my money would be on Ackman since there is no competitive advantage, so I would place the value no more than tangible book value at best with no more than a 90 second look at the financials. The purpose of this post is also to study a Ponzi scheme. The response of the company to Ackman’s research leads me to say this company’s days are numbered. Could Austrian Business Cycle Theory Dotcom Boom and Bust have helped you as an investor? Buffett’s presentation on the Dotcom Bubble in early 1999 (See page 64) A Study of Market History through Graham Babson Buffett and Others. 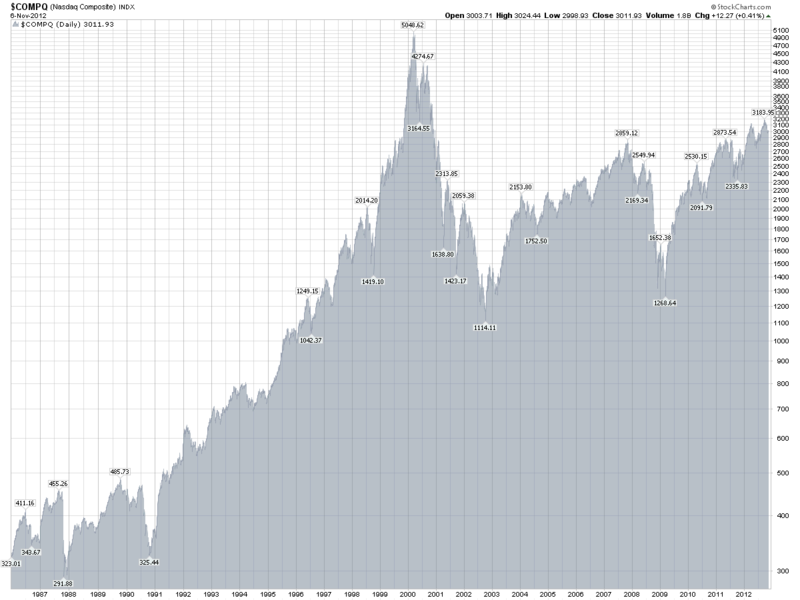 Note how the market went into a speculative frenzy, rising more than 50% AFTER Buffett’s speech. Human action can’t be predicted like a physics experiment. An excellent book that predicted the bust was the The Internet Bubble: Inside the overvalue World of High Tech Stocks–and What you Need to Know To Avoid The Coming Shakeout by Anthony Perkins and Michael Perkins (1999 and 2001 editions). Ackan presents on Herbalife: http://www.reuters.com/article/2012/12/20/us-ackman-herbalife-idUSBRE8BI1MZ20121220. He says that he will be setting up a website with all his research on Herbalife. If anyone FINDS IT, please send me the link to post. This could become a good case study on multi-level marketing. Motivate thyself: Anthony Robbins http://www.youtube.com/watch?v=Cpc-t-Uwv1I&feature=share&list=PL70DEC2B0568B5469. Yes, he could be a huckster, but he is a great public speaker. Focus on HOW he presents. www.valuewalk.com is a recommended blog. 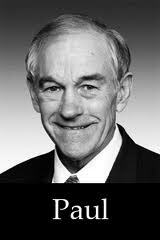 Several readers kindly sent me links to the Ron Paul vs. Paul Krugman debate. I am biased toward Ron Paul, but for the life of me I could not understand what Krugman was saying. Perhaps using reason will not convince a religious fanatic. What is he saying. Getting the government out of monetary policy would be like regressing? A fall into a primitive state? Krugman makes an “Elephants can fly” assertion. Has a monetary system worked without government control? Yes, in the brief period of a classical gold standard pre-WWI. However, fractional reserve banking (ponzi finance) operated so, of course, booms and busts would not be eliminated. Another assertion without facts. Fiduciary media existed during the gold standard era. So let me try to understand……an unmanaged economy is subject to extreme volatility. But with the Fed operating since 1913, we have had the Great Depression, Inflation of the 1970s, Ultra high interest rates of the 1980s, credit crisis of 2007-2009, a managed economy (the FED cartelizing the fractional reserve banking system and suppressing interest rates) is LESS volatile? What amount of failed economic policies due to intervention would you need to say–this is a failure? Since the inception of the Federal Reserve System in 1913, the supply of money and bank credit in America has been totally in the control of the federal government, a control that has been further strengthened by the U.S. repudiating the domestic gold standard in 1933, as well as the gold standard behind the dollar in foreign transactions in 1968 and finally in 1971. With the gold standard abandoned, there is no necessity for the Federal Reserve or its controlled banks to redeem dollars in gold, and so the Fed may expand the supply of paper and bank dollars to its heart’s content. The more it does so, the more prices tend to accelerate upward, dislocating the economy and bringing impoverishment to those people whose incomes fall behind in the inflationary race. The Austrian theory further shows that inflation is not the only unfortunate consequence of governmental expansion of the supply of money and credit. For this expansion distorts the structure of investment and production, causing excessive investment in unsound projects in the capital goods industries. This distortion is reflected in the well-known fact that, in every boom period, capital goods prices rise further than the prices of consumer goods. Milton Friedman was advocating for the government to intervene and prevent the market clearing. But why was a non-interventionist policy during the vicious 1920/21 depression so successful:http://www.youtube.com/watch?v=czcUmnsprQI. 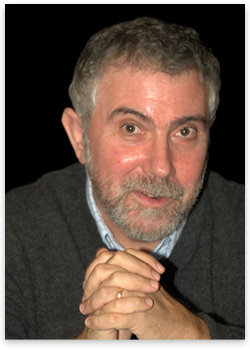 Both theory, common sense and empirical evidence expose Krugman’s and Friedman’s nonsense.